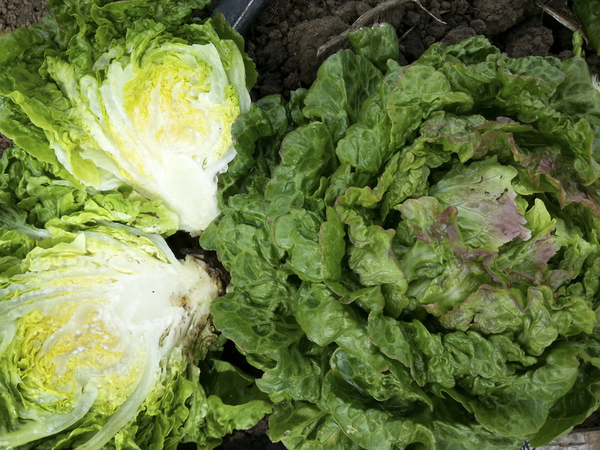 This is the first varietal type to emerge from ‘Manoa x Leopard,’ a glossy ‘Little Gem’ sized, medium green, savoyed, heading lettuce with something like romaine texture. A “personal sized” head that fits well on a plate, and has huge savoyed surface area to hold plenty of dressing. Can be planted 6-8” apart for intensive production. May be harvested at a wide range of maturity, from rosette to full headed. Farm Original Variety! OSSI (Open Source Seed Initiative) Pledged Variety.